Faulty or troublesome uPVC doors can be easily repaired or replaced. 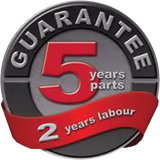 With years of trade experience we have access to replacement parts for your door or even new locking systems if needed. We are even able to source parts for old and out of production uPVC doors. 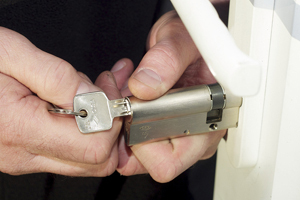 When a door becomes difficult to lock or open the best solution is often an adjustment of the lock or a small service. If you continue to force a uPVC door, grinding and pushing working metal parts together, this will eventually lead to a part failure, which will increase the eventual cost of repair. The old saying of 'prevention is always better than the cure' applies to these types of door. If you have a failed door or a door that is not working correctly please feel free to call for a free no obligation quotation. Are your home and its contents safe and secure? Unfortunately your multi-point door lock is only as secure as the euro cylinder that is fitted to it. Thieves are now using methods to force entry such as lock bumping and lock snapping and it can take an experienced thief 30 seconds or less to open a door. If the lock is bumped it leaves no visible signs of a break-in and insurance companies often refuse to pay out. Fortunately some newer cylinders have been designed to withstand and resist these types of attack. We regularly keep in contact with lock manufacturers and suppliers so that we can offer you the best solution, including the Yale British Standard anti-snap and anti-bump cylinder, Cisa Astrel S anti-snap and anti-bump cylinder and the UAP max6mum anti-snap anti-bump cylinder. Fantastic service, very efficient and tidy. Excellent price, excellent service. Prompt and efficient. Would recommend to anyone. Was punctual, honest and efficient. The service was excellent: very friendly people, good quality product with warranty, reasonable price and on-time delivery. Provided the exact windows that I wanted. Same service and standard offered as the large firms but at a much lower price. Ian did an excellent job and gave good advice. Would not hesitate to recommend him to my family and friends. Great. Job done quickly for good price. Surveyor mended the window and let me know that it just needed a bit of WD40. There was no charge for this service. Ian and his team fitted uPVC windows and doors throughout our house. They were absolutely brilliant, professional, quality workmen. I am thrilled with the work and recommend them. The work was completed quickly and efficiently and to a very high standard. The fitters were very friendly and they cleaned up very well after themselves. Doors that won't shut or seal. Replacement locks, handles and hinges.